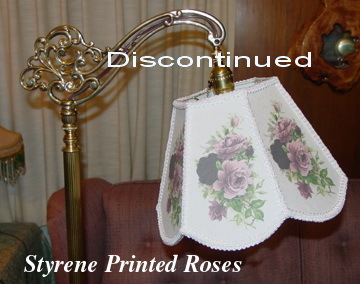 The finished lamp and the shade will be packaged separately. 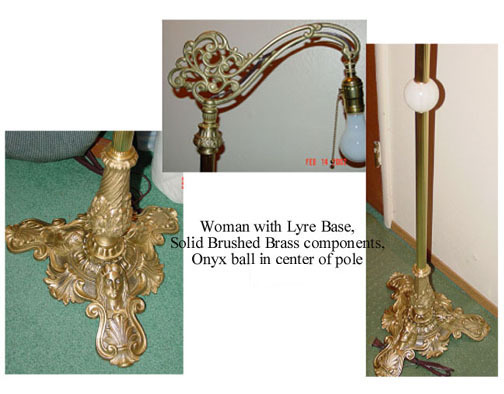 All shipping companies are notoriously famous for breaking or damaging floor lamps! 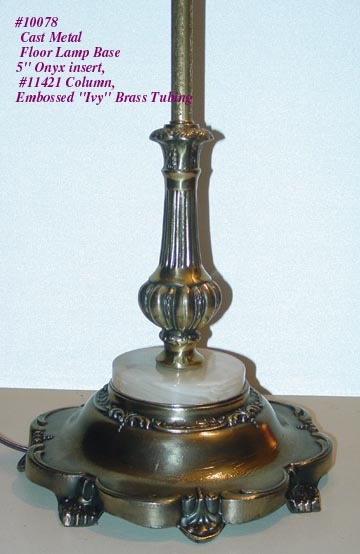 Cost of shipping and insurance will be between $40-$100 depending on your zip code, because we use lots of protective packing and insure every lamp. Insurance claims are a hassle for everybody involved, so we take every precaution to avoid the hassle! Shipping is less expensive if we ship the parts disassembled for you to put together at your end by a qualified electrical technician. 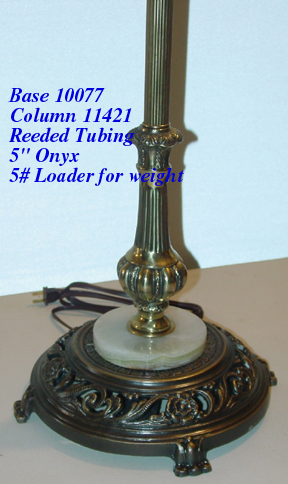 These are all thumbnail pictures... click picture for larger image. 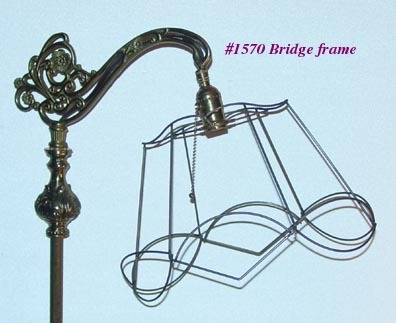 #1625 is an oblong shape frame. 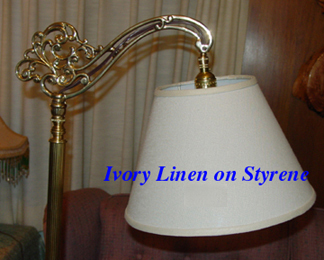 All silk fabrics are custom dyed, so you can have any color you choose. 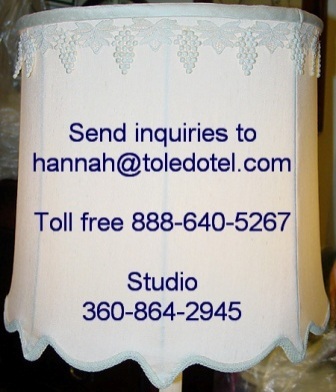 We also have a lot of other floral decals besides the Antique Roses, and many styles & colors of bead fringes. Call to discuss your options. 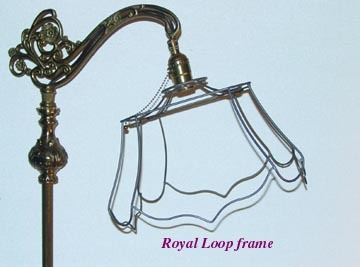 The Royal Loop is a square frame, with flush or recessed fitter. 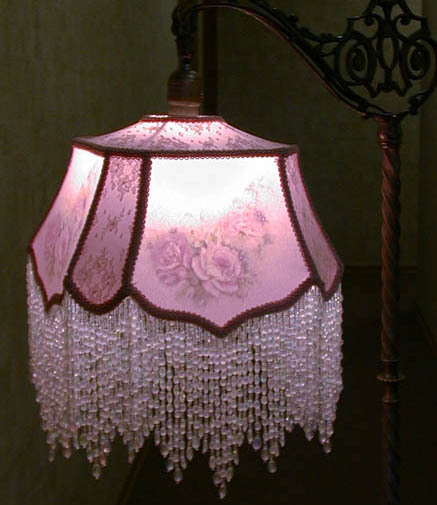 Since the top of this shade is enclosed in fabric, it is recommended you use a 60-watt or less light bulb. 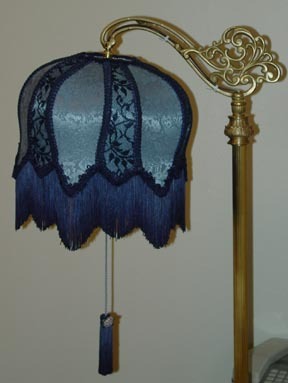 Finished shade is $225 plus shipping & insurance. These three are also oblong-shaped. 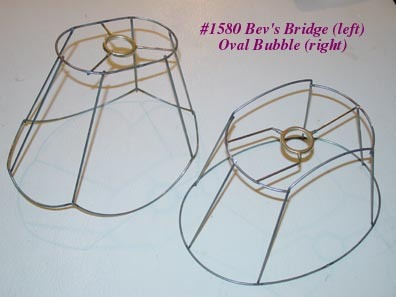 #1570 and the Oval Bubble have slightly recessed fitters, while the fitter on #1580 Bev's Bridge frame is flush (level with the top of the frame) which does not hide the socket. 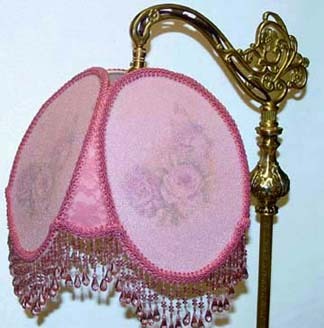 I would not "sugar" shades using these frames; instead, cover them with a nice silk jacquard with rosettes on front and back large panels. 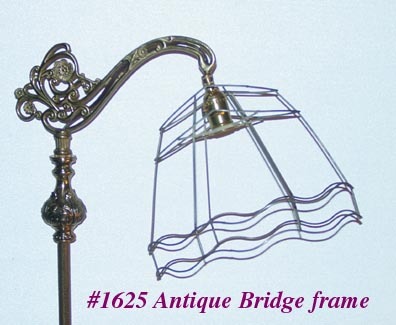 Glass bead fringe would add an elegant touch. 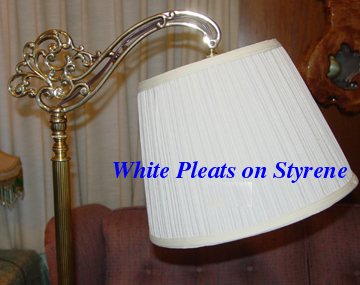 Price will depend on bead fringe selected - from $179 to $229.